Our newest tool to deal with musculoskeletal pain is our Deep Tissue Laser, for more information click the tab on the home screen. We have had great success the past two years with our Class 4 lasers treating such painful conditions as shingles, TMJ pain, plantar fascitis, spinal arthritis. If you are suffering from bulging or herniated discs check out our spinal decompression page. Garrett Chiropractic Clinic is located at 4021 Florence Blvd in Florence, Alabama and just across the bridge from Killen, Alabama. The health professionals at Garrett Chiropractic Clinic are dedicated to helping you achieve your wellness objectives -- combining skill and expertise that spans the entire chiropractic wellness spectrum. 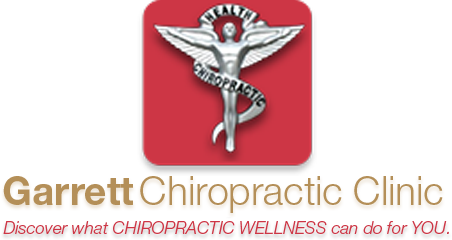 Dr. Keith Garrett, Dr. Cary Burnley, and Dr. LeAnn Phillips are committed to bringing you better health and a better way of life by teaching and practicing the true principles of chiropractic wellness care. Patients seeking treatment at Garrett Chiropractic Clinic with any of our doctors are assured of receiving only the finest quality care through the use of modern chiropractic equipment and technology. Dr. Garrett, Dr. Burnley, Dr. Phillips and the staff have a genuine concern for your well-being!